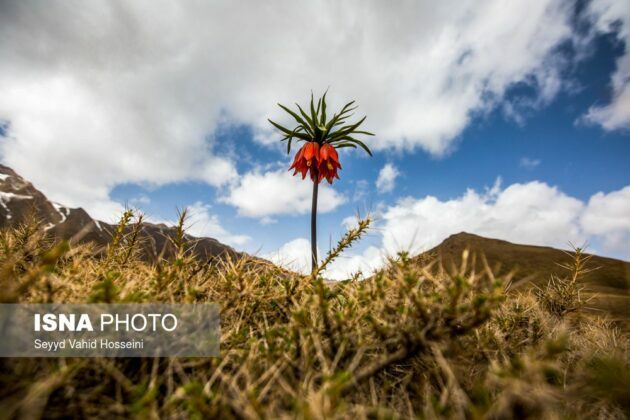 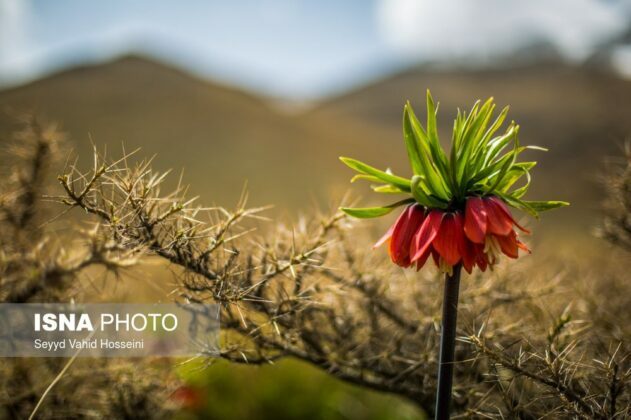 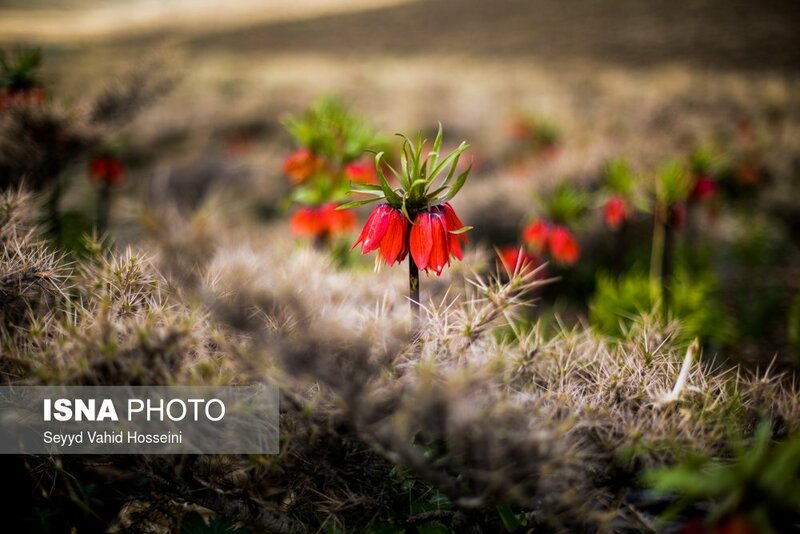 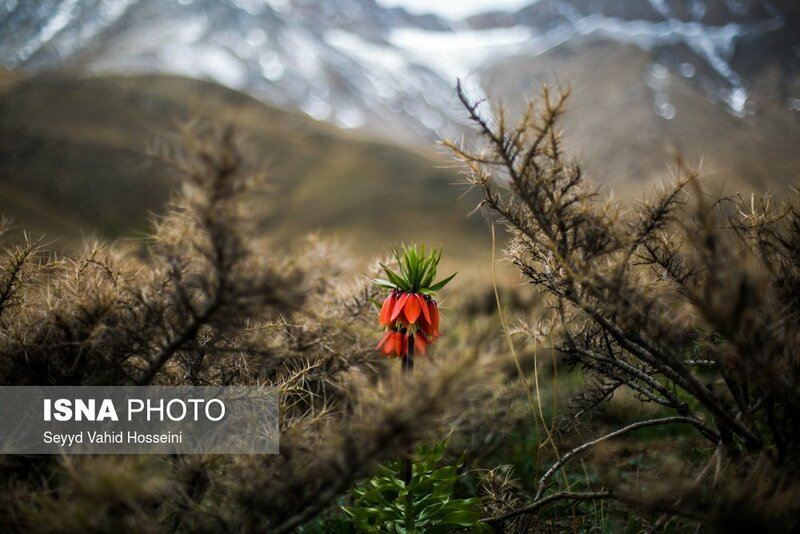 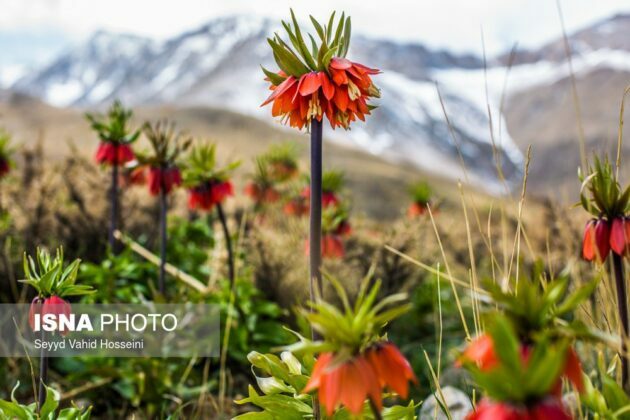 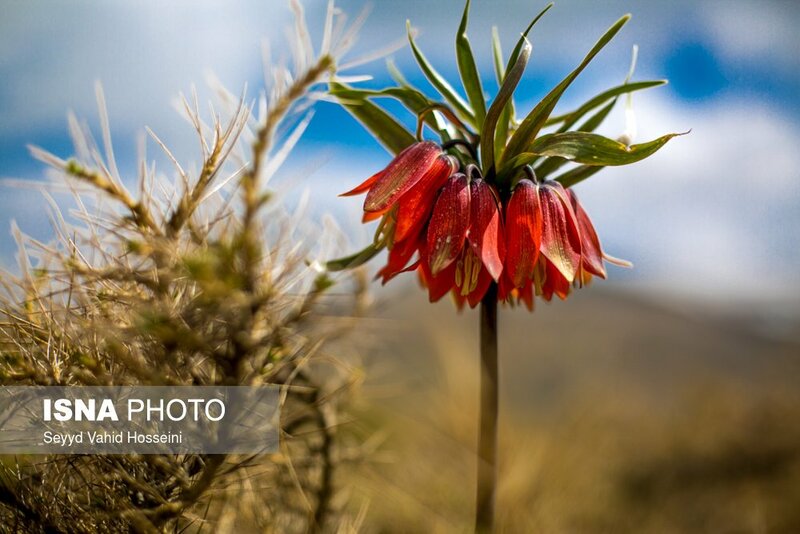 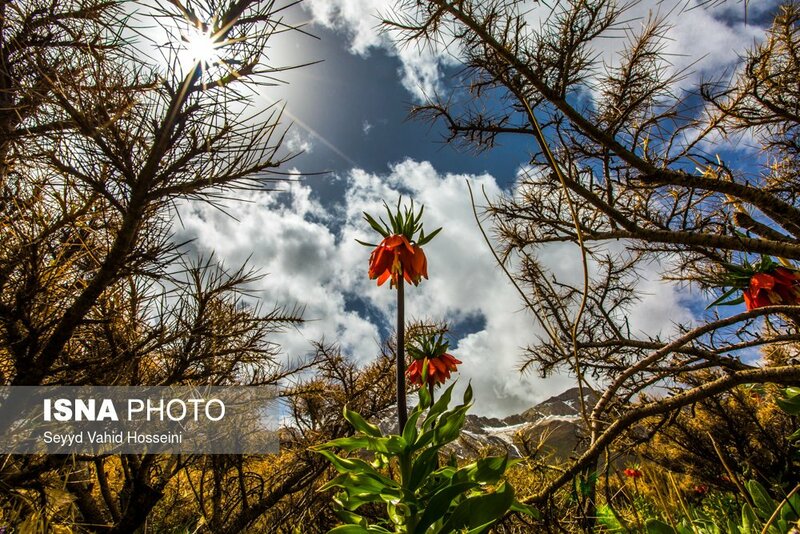 Upside-down tulip is a special type of fritillaries mainly found in the Zagros Mountain range – Isfahan and Chaharmahal and Bakhtiari provinces – in western and southern Iran. 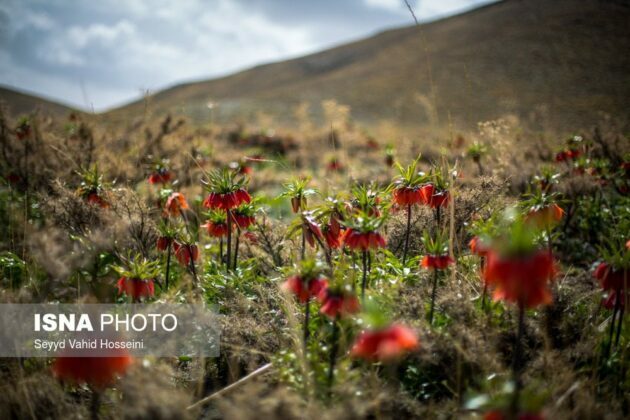 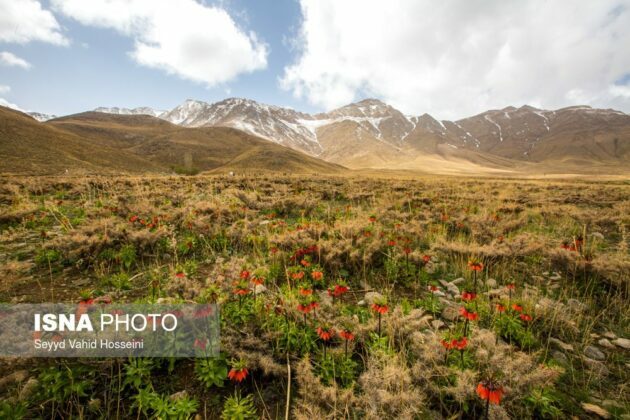 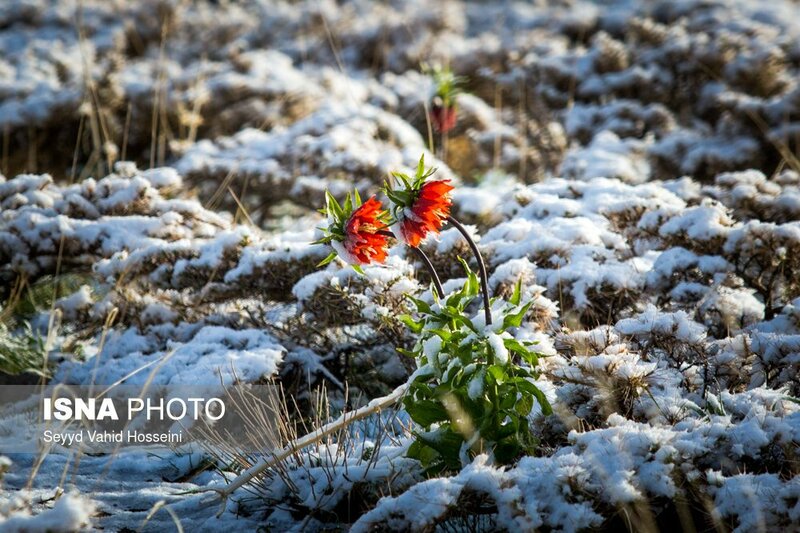 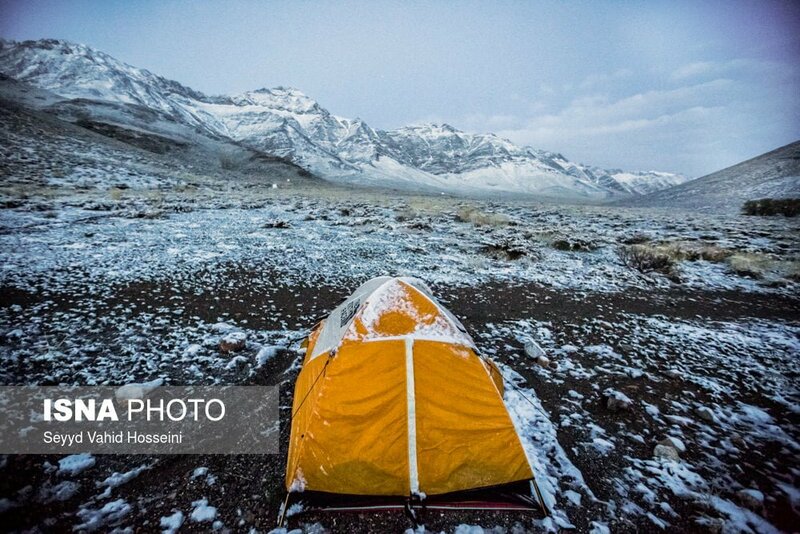 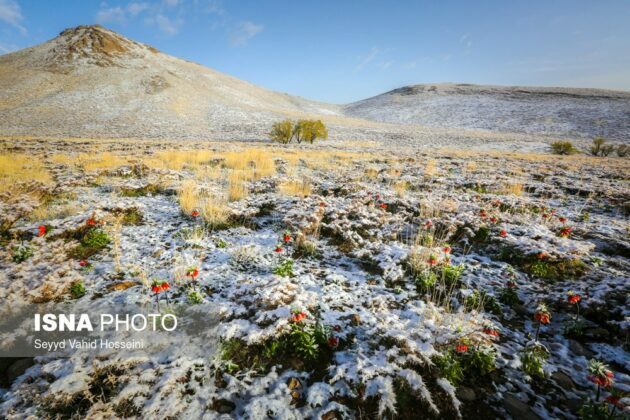 The flower sprouts on the Iranian plains in mid-March every year. 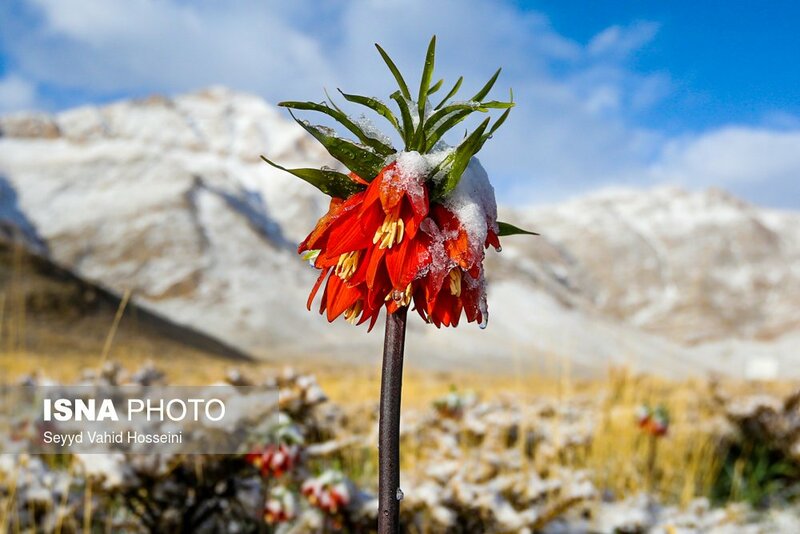 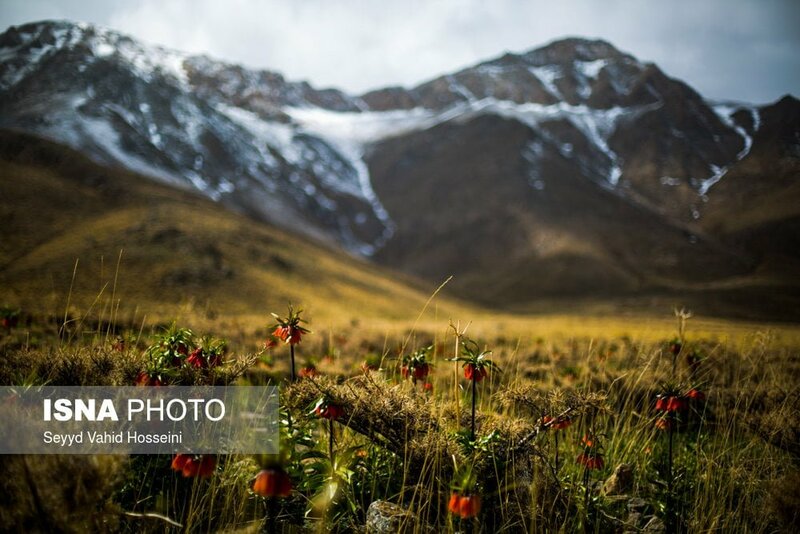 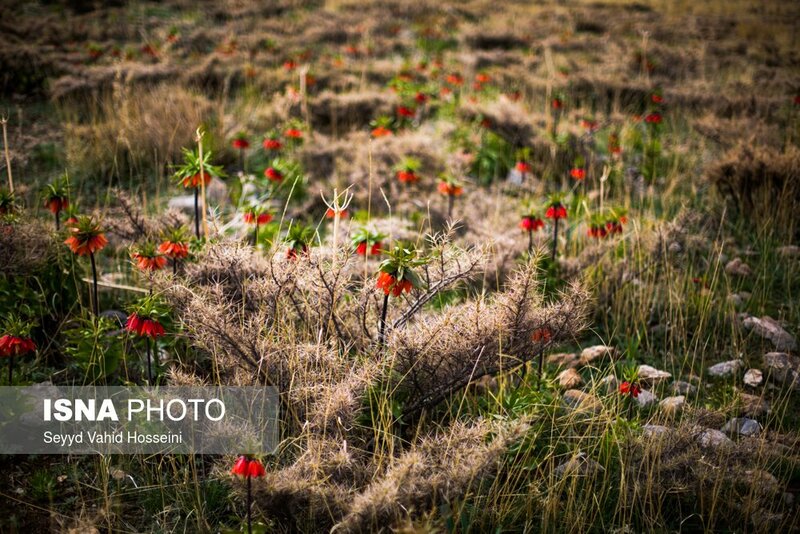 The full bloom of this flower is spectacular, as it creates a red and green carpet. During this period, a lot of travellers visit areas where this wonderful flower blooms. 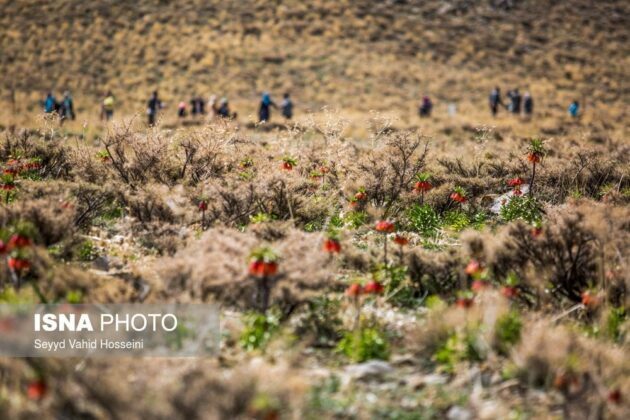 Upside-down tulips in Khansar of Isfahan province grow at the foot of Golestan Kooh Mountain. 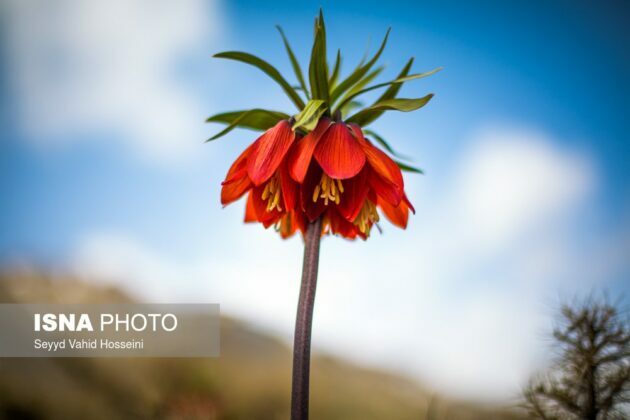 Its flowering begins in early May and ends at the end of spring. 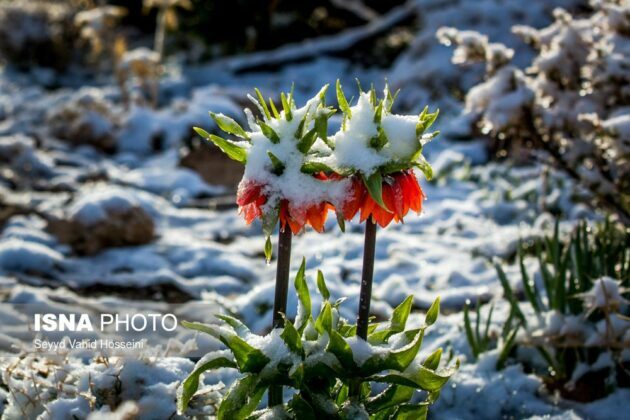 These tulips, which have a short lifespan, enjoy healing properties for rheumatism and joint pains.